I can recommend a visit anytime. Fishing holiday weather, because of Spain's great size, will certainly differ between regions and so it offers a huge choice of holiday destinations that can be fished at different times throughout the year. The fishing weather in Spain is understood to be at its best during autumn and spring. Cooler water encourages fish to feed throughout the day whereas in the hot summer months they head for the cooler depths and a long siesta. I can recommend the best time to go fishing in northeast Spain - Asturias and Galicia, is from April until June (spring) or from September until Ocotober (autumn). The greenery of Asturias and Galicia, in northwest Spain, comes as a great surprise to those brought up on the arid brown Costa plains. Therefore northwest Spain is a better bet for a visit during the summer holiday, but its greenness comes with a price - lots of rain, where as Andalusia turns into a frying pan during July and August. Madrid in central Spain is colder than a fridge freezer during winter but at other times offers promising trout fishing opportunities in the surrounding sierras. Temperate conditions on the Costa del Sol and Costa Blanca allow fish to be caught year round. When spring arrives, warmer temperatures melt the mountain snow caps and replenish rivers. Migrating fish, for instance Atlantic salmon, anticipate a rise in river levels – that they rely on to navigate upstream to spawn, and begin to arrive in great numbers on the Asturias coastline in northern Spain in middle of April. The 1st salmon had been delayed till the end of May, in 2006, because the water was too cold for fish to swim up the River Sella. Late snowmelt was making the water level quite high, and colder than usual. It measured twelve centigrade instead of the usual fifteen. 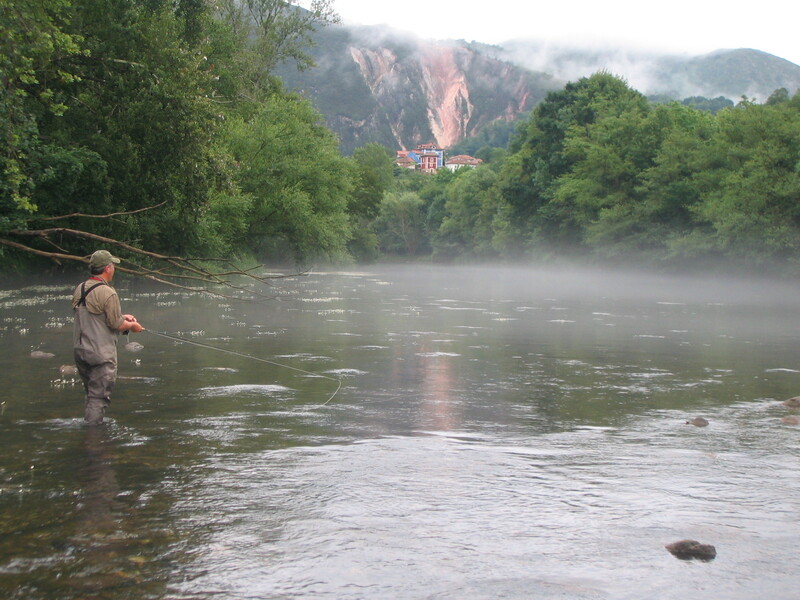 Some of Spain’s finest brown trout fly fishing takes place in the central, northern region of Castile and León. The best fishing in upland rivers takes place in May and June when snow melt coming from mountains, during the spring thaw has passed through. Before then cold water temperatures inhibit fish activity. And by July and August smaller mountain streams are already drying up. Recently landed bonito (related to but smaller than tuna), being sold in Villaricos. At the end of every spring, when floods have subsided and water temperatures increase, adult Andalusian barbel leave the deep channels of the River Guadalquiver and migrate upstream in order to reproduce in shallow tributary streams. As summer approaches, water levels fall and fish become marooned in isolated pools called dry season refuges – where fish fry are protected in a sheltered environment. When the rains return in autumn, a rise in river levels allows juvenile barbel to escape downstream to deeper reaches of larger rivers in search of more food. When a decline in the fish population is attributed to a loss of habitat, it is the disappearance of dry season refuges that are frequently being described. Habitat destruction is caused by water extraction for construction (golf courses and new towns) and pollution caused by run-off of agricultural pesticides and silage. The River Ebro in Catalonia, famous for its monster catfish (siluro) frequently experiences flooding in spring. A Limigraf on the church wall in the town square at Xerta - see picture above, shows flood levels for the River Ebro going back centuries. The town square is approximately 500m from the river and shows clearly the mighty power of the River Ebro. Rivers in Castile and León, which run dry in summer along their upland stretches, are frequently dammed along their downstream courses. And where water has accumulated, behind dam walls, throughout the year, the best fishing, for trout, pike and barbel occurs in September and October – on free fishing, catch and release stretches. During hotter times of the year the very best fishing takes place at dawn and dusk. Enjoy a long lunch, while the fish doze. Avoid wine at lunchtime, or you won’t make it through to the evening and stick to beer and coffee instead. On hot days, fish can be found, and caught in the cool of the early morning, close to the water’s surface. As the sun rises and the water heats up, fish will descend to cooler depths and fishermen will find them harder to locate. Local families, visiting at weekends, barbeque their Black bass catch for lunch then return to their boats for a productive evening session; when temperatures have decreased and fish rise from the depths. Comiza are Spain’s largest barbel species and they’re native to the River Guadiana in the remote western region of Extremadura. In the very hot summer they frequently occupy adjacent, deep cool water of large reservoirs (embalses) that connect up with rivers to form integrated waterways. Individual specimens, weighing over 15kg, are known to have taken an angler’s lure whilst spinning for Black bass. The most prominent event of 2004 in Spain was a severe drought. Sections of the River Villahermosa in València province for example were totally dry and fishing for brown trout was made impossible. Many regions of Spain experience little rainfall but you will be surprised how quickly rivers replenish and fish stocks recover. Sea bass (robalo) are a salt water species but juvenile fish noticeable at dusk, jumping on the surface after fry, will be found in the brackish waters of river estuaries, for instance the River Ter estuary near Estartit on the Costa Brava coastline. July might be a bit early for them. Usually they run late June to mid-August. A maritime fishing licence is required for estuary fishing and it only costs a few Euros. Anglers beware! The mountain area known as Alt Empordà (Catalan Pyrenees), hosts the famous tramantana wind. In 195 A.D. the Roman historian Catón said of the tramantana: "it fills the mouth when you speak and it throws to earth an armed man and a loaded wagon". The lower River Ebro experiences a wind called the Mistral, the little brother of the famous Catalan tramantana The Mistral blows from the northwest every couple of months in the summer and has gusted through the lives of many fishermen. Conditions change from tranquil to deadly (100kph) in the blink of an eye. Take it seriously; anglers should retreat immediately. At this time, the River Ebro can provide some of the best coarse fishing in Spain. Carp and catfish will have been feeling the change in season. In anticipation of the colder months ahead their dietary requirements will change to tide them over the relatively inactive winter months from carbohydrate rich foodstuffs needed to gain energy for spawning to a diet rich in protein in order to gain weight. How much a catfish eats depends on the time of year, water temperature and river conditions. Floodwaters often lead fish into a feeding frenzy. Cold water slows them down. At prime feeding, a 100lb catfish can eat over 10 per cent of its body weight in one day! As the year progresses they change colour, from the dark silt tones where they’ve been laying up in winter to a brilliant mottled brown, with super cream shades running along the belly and underneath the tail. There is no close season for coarse fishing in Spain and there are two points to make here. Spain’s southerly latitude maintains even better conditions for fish to carry on feeding right through the year. Although winter days are shorter, cooler conditions, which encourage fish activity means that fishing shouldn’t stop for lunch. The sea takes longer to heat up and cool down than the land. Therefore fish may feed longer into the autumn and winter along the Costa resort coastline than in those found further inland. But fishing locations by the coast will ultimately experience cold in winter. Smaller fish have less body mass and loose heat quicker, they are less active in the depths of winter. Therefore the odds of landing a large carp or barbel, or pike are increased from December through February. Inactivity of smaller fish in the colder months means that the odds of hooking a Black bass over 1.5kg are greatly increased. American largemouth Black bass are at their fighting prime in winter. Pound for pound they are one of the hardest fighting fish around. On light tackle, either a spinning reel and plug or a fly line and streamer feather lure the fight is unbelievable. And not easily forgotten. Wherever you go, have a good time, but take protection from the sun and heat. Five hours in the burning open during an Andalusian July or August will turn you into a ripe prune but you won’t taste as nice. Remember: don’t go fishing without a wide brimmed hat and sunglasses, use high factor sunscreen and take lots of water. Reservoirs frequently experience low water levels, when the tree line is left far behind the water’s edge, and an exposed lake bed will reflect the glare of the sun back onto an angler’s position, take a large umbrella for shade. 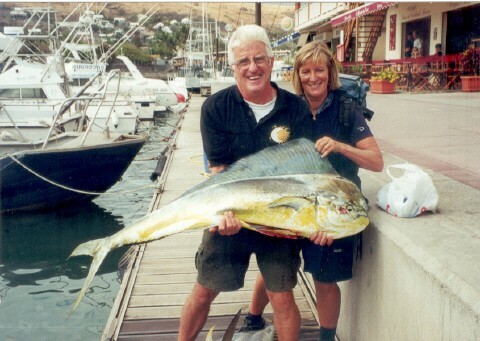 The Spanish coarse and sea fishing season is year round. The salmon and trout fishing season occurs from March until August, the season extends for some catch and release trout fisheries into September and October. 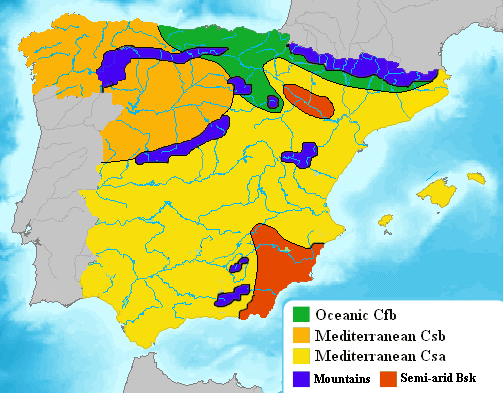 The Mediterranean climate, characterized by dry and warm summers. According to the Köppen climate classification, it is dominant in the peninsula, with two varieties: a hot summer (Csa) and a warm (but not hot) and dry summer (Csb). The semi-arid climate (Bsk), located in the southeastern quarter of the country, especially in the region of Murcia and in the Ebro valley. In contrast with the Mediterranean climate, the dry season extends beyond the summer. The oceanic climate (Cbf), located in north quarter of the country, especially in the region of Basque Country, Asturias, Cantabria and partly Galicia. In contrary to the Mediterranean climate, winter and summer temperatures are influenced by the ocean, and have no seasonal drought.